What fun! 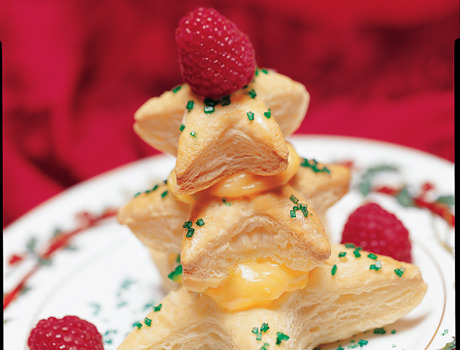 Puff pastry cut into evergreen tree shapes are baked and filled with creamy pudding. 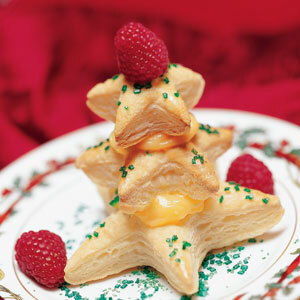 Let the kids help decorate the "trees" with colored sugar and cherry halves before they dig in!